I’ve never met a mushroom I didn’t like. From hen of the woods to white button and portobellos, I think they are one of the most versatile vegetables and unlike most haters, I absolutely love their texture. They also happen to soak up flavor like a sponge, which leads me into the number one most important cooking tip when it comes to mushrooms. Never ever ever rinse your mushrooms under water. They will quickly absorb the water and your mushrooms will become a waterlogged mess even before you start to cook them. Instead, use a dish cloth or paper towel to gently clean them, or if you want to get fancy, use a pastry brush to remove any excess dirt. 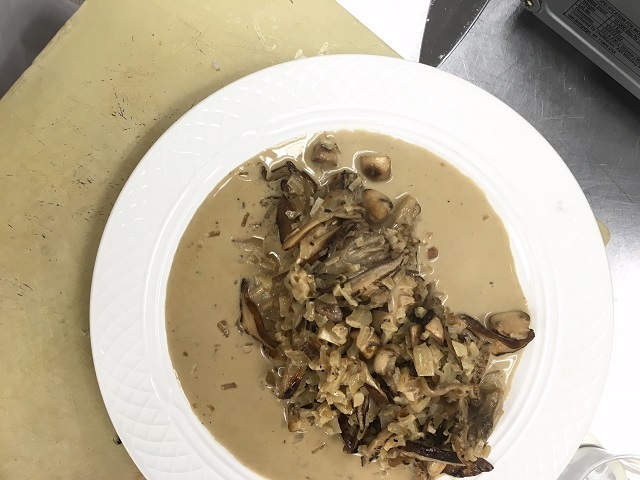 With these tips in mind, we gingerly cleaned various mushrooms to make a ragout which was so flavorful but simple with a splash white wine, thyme and a touch of cream. It was so good that it made an appearance on my Easter table. 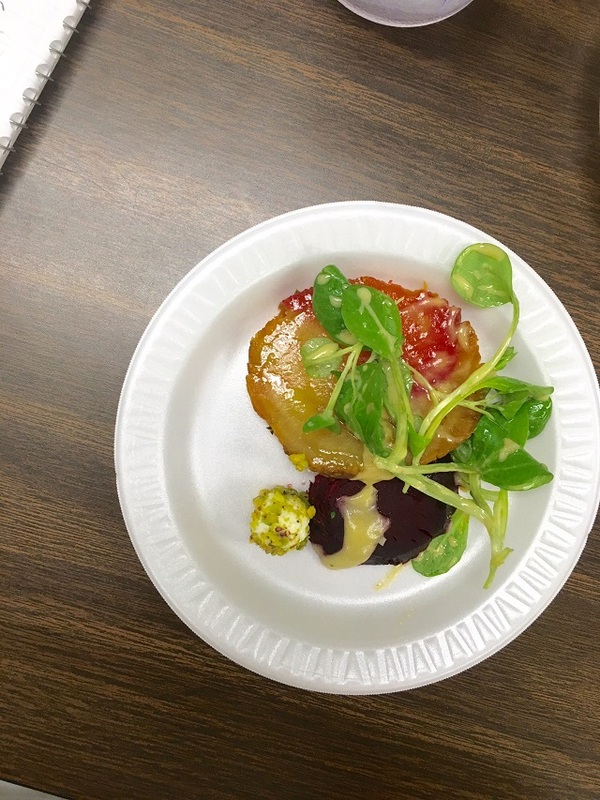 We then moved on to ratatouille (stewed vegetables) and Chef Brian taught us the classic way to prepare it like they do in Southern France. Much to my delight, this preparation involved copious amounts of extra virgin olive oil which was a surprise to me since most everything we’ve made thus far has been with butter. The ratatouille comes together gradually as you have to cook or roast the veggies separately before combining it all with herbs, tomato paste and tomato juice and letting it simmer away. 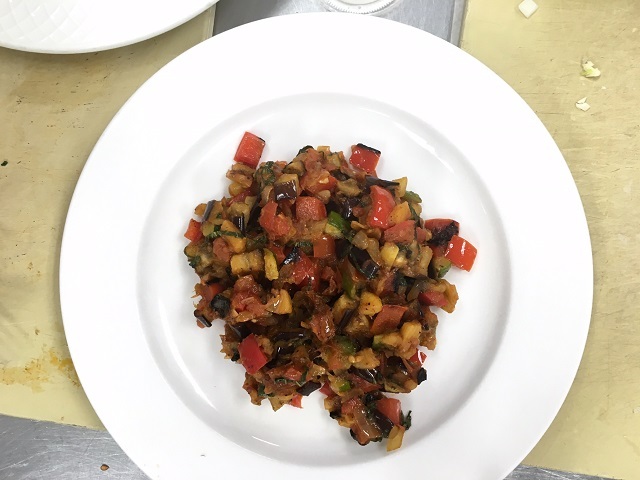 While ratatouille can be made with many vegetables, the classic ingredients are eggplant, zucchini, onion, red pepper, tomatoes, onions and garlic. 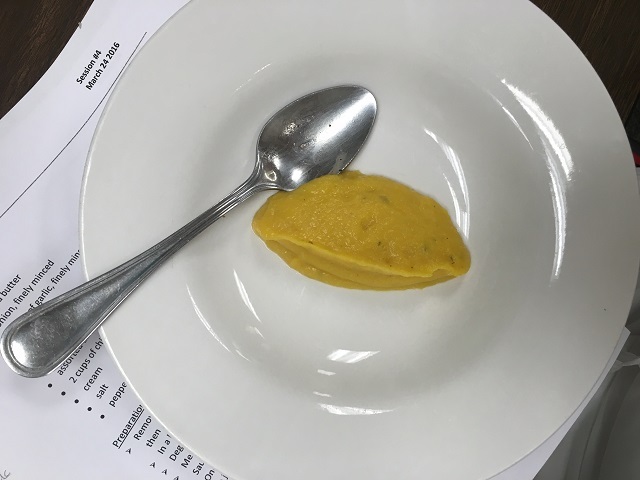 It was a hearty and delicious way to end the class and Chef mentioned he loves to eat it for breakfast with bread and a fried egg which is totally up my alley #signmeup! 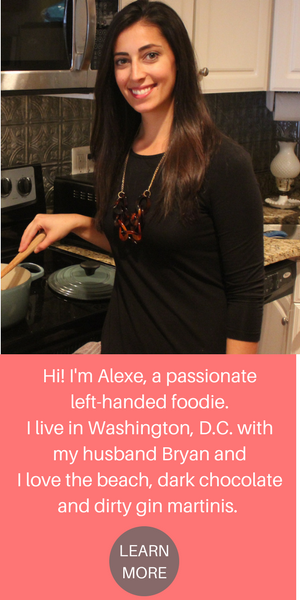 Be sure to subscribe here for more culinary class updates and recipes, I can’t wait to learn about grains this week!